Berry Dakara: Happy Birthday to Cakes!!! Who is at home right now while I cut my hair... SURPRISE!!!! Happy Birthday Cakes. I love you thiiiiiiiiiiiiiiiiiiiiiiiiiiiiiiiiiiiiiiiiiiiiiiiiiiiiiiiiiis much times infinity squared. Happy Birthday to cakes. turns out he's my birthday mate too. Anyway wish him happy many more returns and I pray that everytime u both celebrate your birthdays, u always have something to be thankful and glad about in Jesus Name. HBD to your cakes. How do you plan on celebrating him 2day? 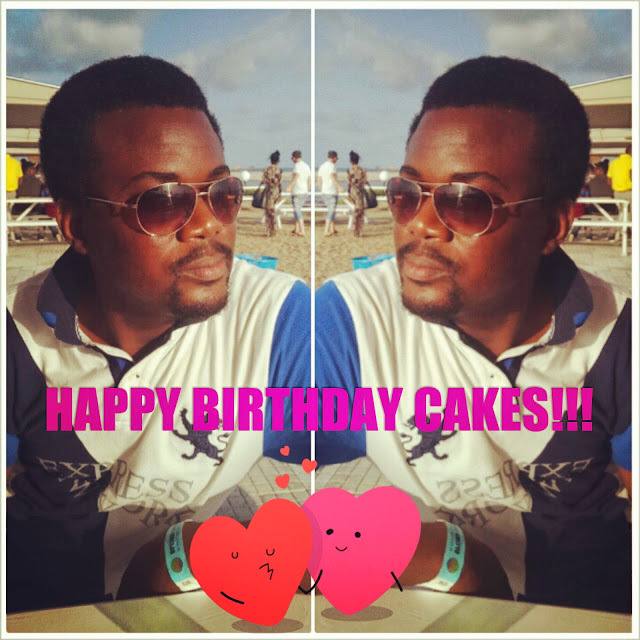 Happy Berrylicious Birthday to Cakes! God's Blessings n many more years to celebrate! I couldn't help but notice the part where talked about cutting your hair! Berry!! DON'T O!!!! Lol, I didn't. Got crochet braids instead. Happy birthday to Cakes. Many more years of God's blessings! Hahahaha! That's my go-to birthday song for everyone. When are you coming again?! Happy birthday in arrears, Cakes. Thanks for loving Berry, and making her glow all the time.